If you are traveling a lot or need a temporary home, you maybe do not want to live in anonymous hotels. Especially when you have to stay longer in a hotel the amenities of your own home as creative individuality, separate livingroom and bedroom, own kitchen and washing machine are missing. 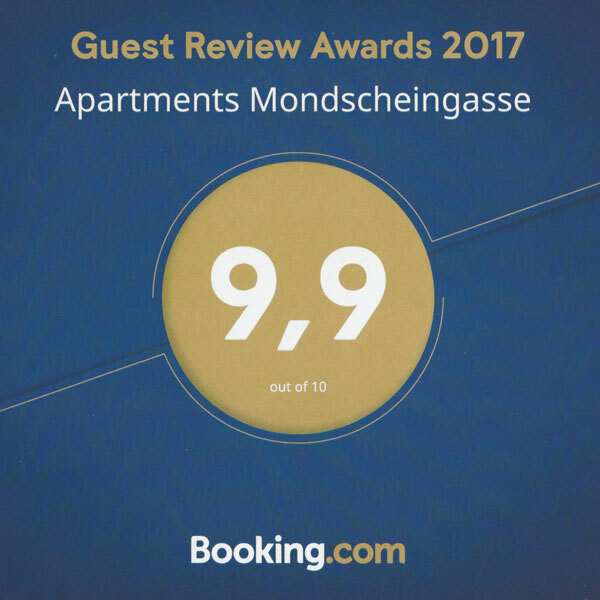 The Mondscheingasse Serviced Apartments want to create the feeling of home. The apartments are set up like a private home with modern furniture, some collected pieces and hand-picked art. We put attention to the detail to make short and long stays as comfortable as possible. When you arrive at our apartments you get all the information you need to find yourself familiar, such as individual hints for restaurants and culture, were to find the nearest supermarket or whatever you need to know. Just like home.